Business and technology have long been going hand in hand. The impact of the Internet on the development and popularization of virtually every business sector is undoubted and every resourceful business owner knows that investing in this area is an urgent part of the budget of every modern company. As in any professional sphere, in the IT industry there are many types of narrow specialists, each of whom plays a role in building a web project, mobile application, and so on. In the last years, however, a term has emerged that summarizes the whole workflow – a full stack of web developer. What is a full stack web developer? We cannot assume that a person can have all the necessary skills to build a completely successful web project. While there are freelancers that define themselves as full stack web developers, it is best to characterize an IT company as a full stack web developer, and in the following lines you will find out why, as we will introduce you to the basic obligations of a full stack web developer. Back-end development The first important part of building a website or mobile application is the so-called back-end, and every full stack web developer must have serious knowledge in the field if they want to develop successful projects for their clients. When a website development is started, the first job of a full stack web developer is to set up the hosting service, and if a more serious web site is needed, then the use of a personal server is often required. At the same time, the other easy-to-use settings – email client, system update over a certain period of time, bug fixes, purely technical tasks of full stack web developers come along. The skills most commonly required by full stack web developers in back-end are: PHP, Ruby, Python, Java, and .Net – to build a mobile application. MySQL, Oracle, and SQL Server, Zend, Symfony, and CakePHP are required to work in a server environment. All of this technical knowledge of full stack web developers is extremely important because without them it is possible for your future web site to work slowly, not to be secured in terms of data protection and other potential problems. Full stack web developer’s obligations include this type of service, which are generally offered by hosting companies, but service prices are always paid on an hourly basis and in most cases are quite high. Frond-end development When your full stack web developer has provided the right environment for your web project, there is a frond-end part that actually represents the vision and functionality of your future site. Full stack web developers that deal with the front end are responsible for your web site’s design, user experience, project architecture, and other important elements. How to choose the right full stack web developer for our business? Successful projects There is no way to choose a full stack web developer to guide your overall work project if the company does not have any projects already delivered. Remember that you will fully entrust the development of your website to a full stack web developer and you need to make sure that they have already developed different projects and have satisfied customers. Satisfied customers Each full stack web developer will post reviews to their customers on their website. Look for what customers are saying about the company you have chosen, and see reviews on other websites about their services. There are many full stack web developers have a lot, but not all of them get good feedback from their customers. Affordable prices Very often, when investing money in a given direction, people are trying to save money and look for cheap services. Although the full stack web developer company will take on the whole project, you do not have to pay huge amounts for its services. Today, when IT services prices are quite high, companies like Zibtek offer full stack web developer services at extremely affordable prices. Zibtek – the right choice for a full stack web developer company. If you need a company to be your full stack web developer and take on the overall job of developing a web project (web site or application), then you are in the right place. ”The Zibtek team is great. Hard working and talented developers and managers give us peace of mind that work will get done.” TEMITOPE, CEO AT LASSY PROJECTS Zibtek offers full stack web developer services at affordable prices because our developers work from around the world while our project managers are based in the US. 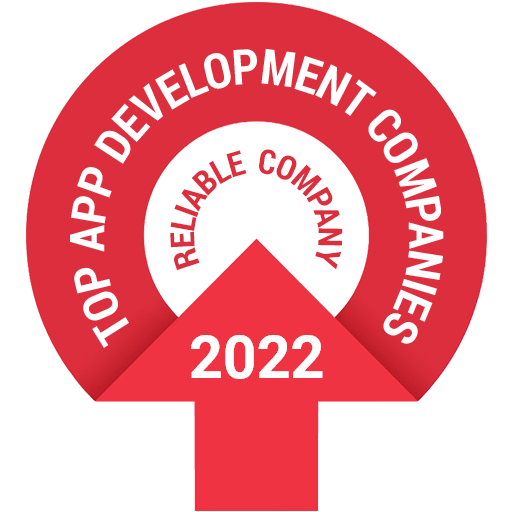 In this way, our services are much more affordable than most full stack web developer companies, while we are still able to maintain easy communication between our clients and developers. Do not delay the need for a full stack web developer and contact us. Together, we will develop your desired web project from A to Z and will help you modernize, facilitate and develop your business.